All the colours of the rainbow in the wings of a butterfly! 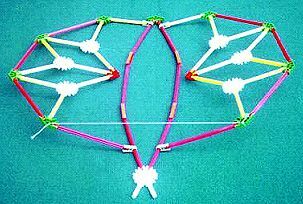 Can you use the many different coloured KNEX rods and connectors to make a really beautiful butterfly? 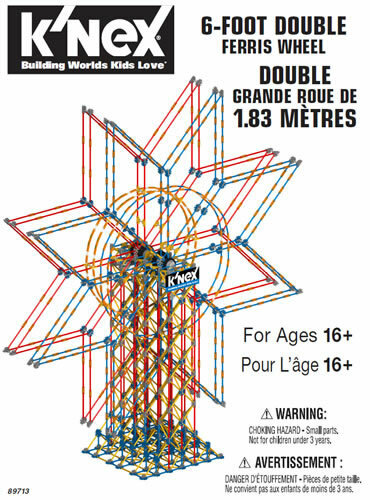 Equipment: KNEX set, plus 1m length of string for level 3. Approach: What shape is a butterflys body? Where would you find its head, body and wings? 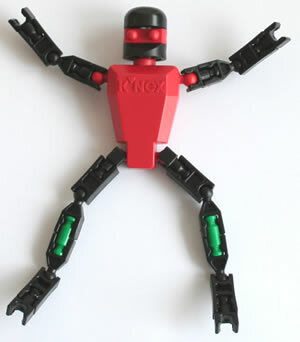 Now think how you can use KNEX to make a butterfly. What rods and connectors will you need? 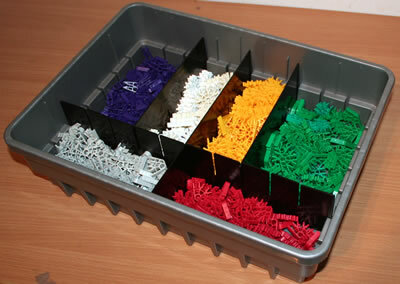 Can you use lots of different colours? Can you make both wings look the same? For level 2, think about how you might enable the wings to flap. For level 3, can you tie a piece of string to the wings, so that they flap when you pull the string? A simple project for younger children, which encourages them to look at real-life objects, and build a model that has similar characteristics. For level 2/3, they will also have to consider the uses of pushes and pulls in making the wings flap. Before starting: Look at pictures of butterflies, and if possible a video showing how their wings flap. Conclusion: Firstly, ask the children to name the colours used in their model, and look at the models the other children have made. Then, for level 2/3, ask them to explain what makes the wings flap in their own model, and in other models.